SPLUFIK is the one word to describe the only lady of the (Koffi's) Workerman Movement BOOMERANG. 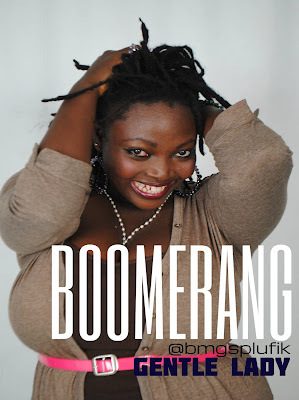 Born to a yoruba-igbo father and a Togo-Burkina faso mother, Boomerang's other names are Oluwabunmi Sheba Oluremi , you can just call her BMG though. Boomerang is a versatile Hip-Hop artist with diverse delivery in Rap,Patoi,Soul and Ethnic Genre with a little opera as well.